We like to support special charities across the Ephraims Care group and “Macmillan Coffee morning” always seems to be a very popular day with everyone. We had cakes made by our generous resident’s families which they donated, members of staff and also by our talented chef and kitchen staff too. We raised £30 which we were happy with from just our cakes and drinks. 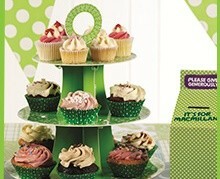 We would like to thank everyone who contributed and took part in our Macmillan coffee morning.